You've got the technical chops -- the skills to get a great job doing what you love. Now it's time to get down to the business of planning your job search, focusing your time and attention on the job leads that matter, and interviewing to wow your boss-to-be.You can't just wing it. As a techie, you're a special breed, with special challenges facing you in the job search. Your competition is smart, tech-savvy, and highly resourceful. Expectations among employers are higher. Your competition will run you over if you're not up to the challenge. Land the Tech Job You Love gives you the background, the skills, and the hard-won wisdom to bypass the mistakes of those who don't prepare. You might not think you need this book. Conventional Wisdom has it that finding a job is simple: send some resumes, go on some interviews, and take the offer that sounds best. But that's only the start. You've got the background and skills to work the Web and other resources that the general job seeker doesn't. 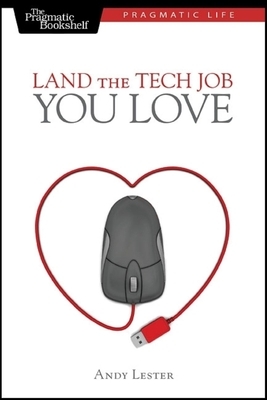 This book shows you how to take advantage of those skills or be left behind by competing techies who do. It all starts with an examination of you, your strengths, and where you want your career to take you. Without a roadmap, you'll wind up in any old job. Life's too short to spend in a job that you don't love. From there, you'll see how to find the job you want that fits you and the employer, using your technical and web savvy to find the hidden jobs that never make it into the classifieds or Monster. "Marketing" is not a dirty word, and you'll learn how to present yourself, your skills, and your background in the way that shows the hiring company that you're the right person for the job. Create a resume that tosses out conventional wisdom, write cover letters that sell your background, and assemble a portfolio of work that will wow the interviewer. Social networking has been the darling of the Web in the past few years, but it's no substitute for the sort of personal interaction that makes relationships that help in future careers. As one manager said, "One recommendation is worth a million resumes." This book shows you how to make and maintain the connections that will drive your future career moves.